is a British historian and archaeologist. He is interested in architectural investigation, heritage planning and the environment, and is the author of Medieval Graffiti: The Lost Voices of England’s Churches (2015). The past five or six years have seen a massive rise in one particular area of medieval studies – an area that has the potential to give back a voice to the silent majority of the medieval population. 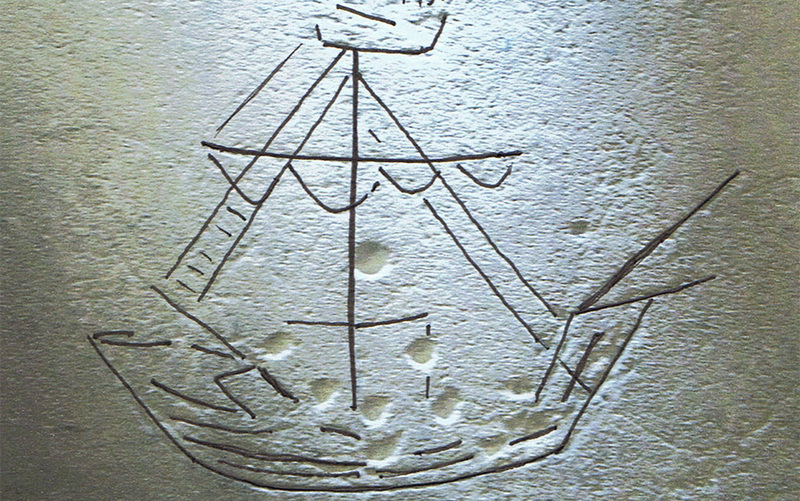 Specialists have been studying medieval church graffiti for many decades. But new digital imaging technologies, and the recent establishment of numerous volunteer recording programmes, have transformed its scope and implications. The study of early graffiti has become commonplace. The first large-scale survey began in the English county of Norfolk a little over six years ago. Norfolk is home to more than 650 surviving medieval churches – more than in any other area in England. The results of that survey have been astonishing. To date, the Norfolk survey has recorded more than 26,000 previously unknown medieval inscriptions. 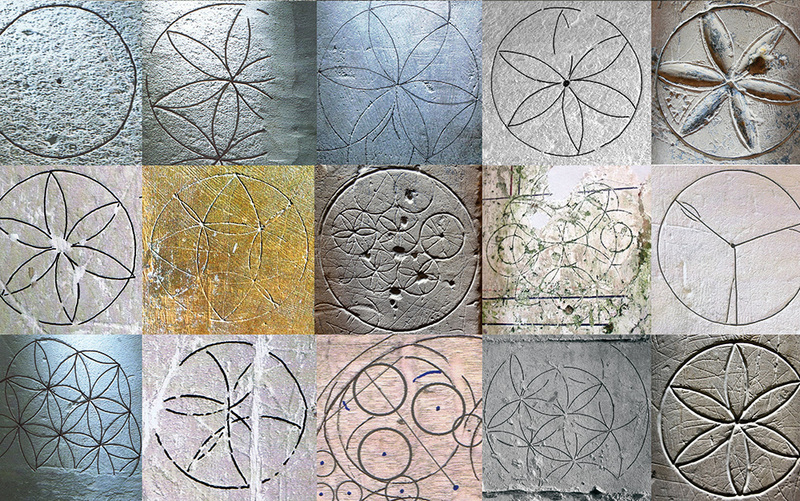 More recent surveys begun in other English counties are revealing similar levels of medieval graffiti. A survey of Norwich Cathedral recently found that the building contained more than 5,000 individual inscriptions. Some of them dated as far back as the 12th century. It has also become clear that the graffiti inscriptions are unlike just about any other kind of source in medieval studies. They are informal. Many of the inscriptions are images rather than text. This means that they could have been made by just about anyone in the Middle Ages, not just princes and priests. In fact, the evidence on the walls suggests that they were made by everyone: from the lord of the manor and parish priest, all the way down to the lowliest of commoners. These newly discovered inscriptions are giving back individual voices to generations of long-dead medieval churchgoers. The inscriptions number in the hundreds of thousands, and they are opening an entire new world of research. Witch marks make up about a third of all recorded inscriptions. This means that we have many, many thousands of examples of them. 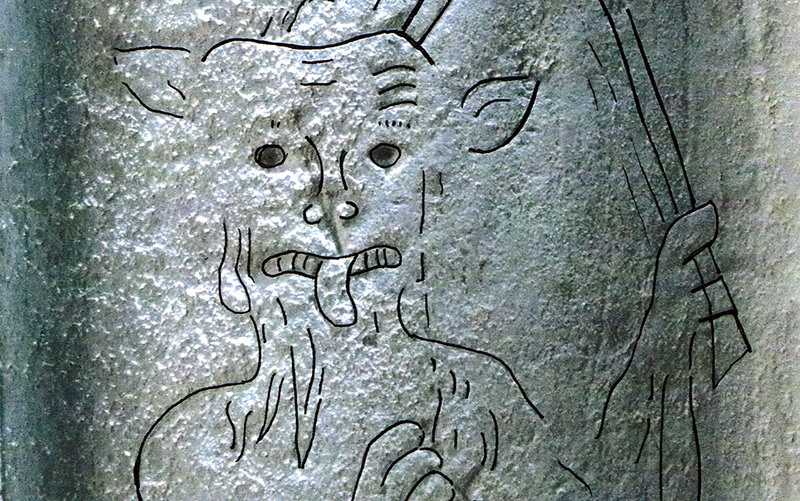 Some churches, such as that at Cowlinge in Suffolk, can contain many dozens of witch marks. It is a rare church that doesn’t contain at least a small collection. 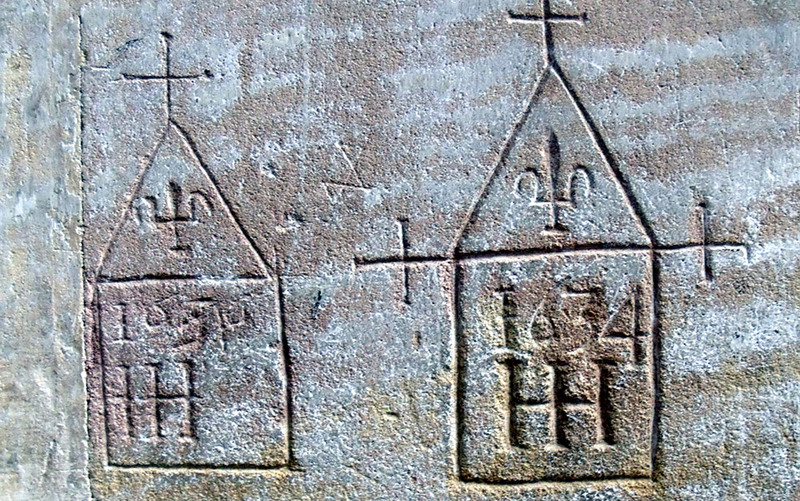 These markings make clear the differences between the medieval and modern concepts of graffiti. Much modern graffiti tends to be collections of names and dates, examples of people ‘leaving their mark’ upon a place. However, witch marks belong to the world of faith and spirituality. They were not a replacement for the orthodox prayers of the Christian church. As much as the Church might have disapproved, people used them in association, as supplements to orthodox prayers. They enhanced the spiritual, and symbolised God’s protection from the powers of evil. They were, simply, prayers made solid in stone.